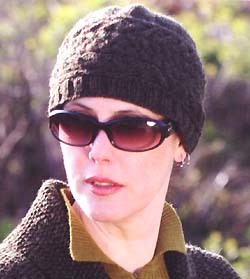 This hat is knit using Jamieson's Heather Aran 100% wool yarn and is from Simply Shetland 2. It is also shown modeled with the Aubrey Jacket. The yarn kit is detailed below.